Furman has seemingly improved with one week of preparation throughout the football season. Coming off two weeks to prepare, the Paladins put on an absolute clinic Saturday. 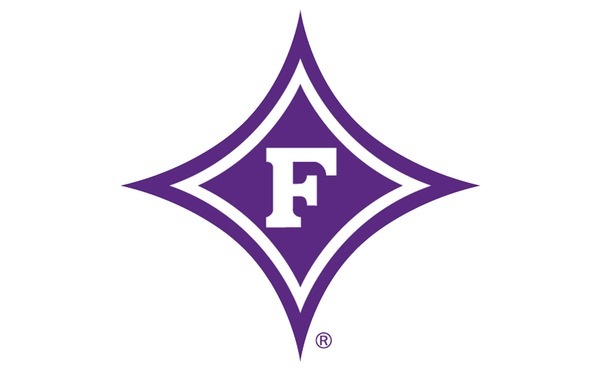 Furman annihilated the Southern Conference's No. 1 ranked defense as the Paladins thumped rival The Citadel 56-20 on Senior Day at Paladin Stadium. Furman (7-3, 6-1) rolled up 544 total yards of offense and averaged 8.5 yards per play in winning its seventh consecutive game for the first time since 1999. The Bulldogs (5-5, 3-5) entered Saturday allowing just 299.4 total yards per game. It's the most yards allowed by Citadel since giving up 577 to Coastal Carolina on Nov. 28, 2015. Meanwhile, Furman's defense held Citadel's rushing attack to 146 yards. The Bulldogs entered ranked No. 2 in the FCS in rushing with an average of 326.7 yards per game. "What really stuck out to me was how efficient we were on offense. I don't think the first unit ever punted. The other thing is I thought we played great run defense," Furman coach Clay Hendrix said. "Our guys prepared really well and our coaches did a phenomenal job prepping. ... We practiced in the spring for them (Citadel) and we practiced in August for them. "This win is important to a lot of Furman people and it's important to me. It gives us a chance to win a conference championship next week. That was really the most important thing." Even though Wofford clinched the SoCon's automatic bid to the FCS playoffs with its win at VMI Saturday, Furman can still earn a share of the SoCon championship with a win next Saturday at Samford. Saturday's dominant win likely secured Furman an at-large bid to the playoffs, especially with Western Carolina's home loss to Mercer. That likely eliminates the Catamounts from postseason consideration. Furman has rolled up big offensive numbers during its winning streak while adding tweaks each week. After a bye last week, the Paladins added plenty of wrinkles Saturday. Furman's offensive line often performed a sliding shift before getting set as if they were playing a human version of Frogger. The Paladins' skill position players often shifted into a tight formation out of a shotgun spread and vice-versa. Whatever Furman did, they did it with speed and precision. The Paladins scored touchdowns on each of their first six drives and stopped Citadel on its first six to lead 42-0 just 72 seconds into the second half. Those six scoring drives lasted 2:06, 1:51, 2:49, 2:16, 3:37 and 1:01. "A lot of people say 'you don't need to change stuff.' I've always thought you could change things a little bit as long as you keep your guys playing fast," Hendrix said. "Tempo's a big part of what we do and we've got a ways to go there, but I didn't want to get in a slow down game with them." After the Bulldogs got on the board on its first play of the second half, Furman answered with a 9-play, 86-yard drive that took 4:22 as the Paladins slowed things up a bit. It was capped by a 29-yard touchdown pass from P.J. Blazejowski to Logan McCarter that gave Furman a 49-7 lead with 9:02 left in the third quarter and gave Blazejowski the rest of the day off. Blazejowski was 11-of-14 passing for 204 yards with two touchdowns and no interceptions. Antonio Wilcox ran 12 times for 106 yards and two touchdowns, while Kealand Dirks had 83 yards and two scores on 11 carries. "Just establishing that run game early, coming off the ball and hitting them in the mouth was big. Then setting up the play action," senior center Matthew Schmidt said. "We just kept them down and never let them get back up." While Citadel found the end zone thanks to three long pass plays when the game was no longer in doubt, the Bulldogs' running game never got going. Furman did a fantastic job of stringing out the option and linebackers such as speedy freshman Reynard Ellis were consistently in the right position and made tackles for little to no gain. Ellis led the Paladins with seven stops. "Reynard Ellis and Tyler Voyles really played that spot well for us," Hendrix said. "Reynard's fun to watch play. He flies around and not a lot bothers him." In addition to stuffing the run, Furman collected five sacks against a Citadel team that had only allowed five all season entering Saturday. Jaylan Reid led six Paladins who were in on sacks Saturday with 1.5, including his first of the season. Wade Smith also recorded his first sack giving Furman 17 different players who have combined for 29 sacks. "At practice, we tried to rep it as fast as Citadel runs it. When it came time for the game, it seemed like practice was harder than the game was," Ellis said. "Coaches pushing us at practice really helped us."